Born and brought up in a remote village in Bayarban VDC in Morang named Ramailo, Jamuna Gurung, one of the few girls in her school, interested in game, is the Captain of the Nepal Women’s Football Team. 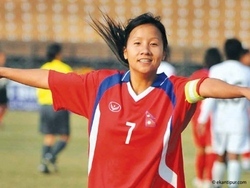 She has scored a record 25 international goals in just four matches and won the golden boot for being the leading goal scorer at the recent SAFF Women’s Championship (in late 2000s). It all began at the football ground at Jana Sewa School in Ramailo, Morang where she learnt to kick the ball for the first time. Although, she was the only female player in the team, she was determined to continue with the sport. Every time she saw her brothers playing, she thought she was meant to be at the ground rather than the stand, she was born for playing, not watching. Being a football player wasn’t a cake walk as it required physical as well as mental strength. Bruise and broken bones, however, could not stop her and with the support she got from her family and her strong will, she carried on with the game. In 1999, at the age of 14, she was selected for National women’s Football squad at the 4th National Game. In the same year, she participated in the Asian Cup in Philippines which opened her way into International grounds and after the experience, she knew she had found her destiny. Her late brother Dambar Gurung coached and mentored her along with her twin sister Ganga and he was encouraged to keep their passion alive. 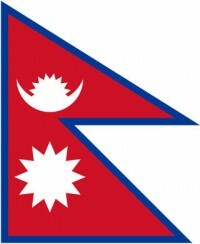 However, the constant power struggle at All Nepal Football Association (ANFA) dampened her spirits and also the fact that in ten years after she made her debut, the Nepali Women’s Team didn’t participate in a single international tournament and there were only few local matches played discouraged them which was the lowest point in her carrier. The South Asian Games in 2010 the turning point for her as well as the team as the team has bagged three runner-up trophies, one from the South Asian games and two from the SAFF women’s Championship. The increasing number of local and international tournaments being organized have helped her get greater exposure and also increased/benefited the team’s performance. The sad part is the negligence of ANFA as well. Although, it receives larger budget, very few goes into developing the woman’s trainings. They aren’t provided better training facilities and resources and until two months ago (by the end of 2012) they were not even paid salary. Their salary is even half of what men players receive and also finding advertisers and larger audience for Women’s game is difficult. She is the captain of both, National and Armed Police Force teams of Nepal and an avid Barcelona fan, she idolizes Lionel Messi. She also likes to coach girls at the school ground where she gave start to her career and after retirement she has plans to become a coach and pass on her knowledge and skills to young girls like her who dream of leaving their mark in the history of Nepali Women Football.